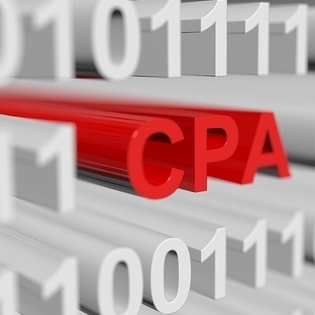 Why Are CPAs Flocking To The Cloud? The number of business across all industries adopting cloud computing has been exploding upwards in recent years. We’ve even seen this growth in the accounting industry – a world that has historically been very traditional and leery of making big technological changes. The big question is why are CPAs now coming in droves to adopt the cloud? Well, as it turns out there are a multitude of benefits that hiring a cloud services provider offers an accounting firm. Cloud computing is the technological wave of the future. Like any advancements in technology, it is easier to use, more efficient and more effective than what came before it. Having your data and workspace in the cloud means that you, as an accountant, and your clients have easy access to their information on a secure platform that requires close to zero maintenance on your end. It’s no wonder then why Accountex, which hosts the UK’s premier accounting conferences, predicted that over 90 percent of accounting firms would take advantage of some form of cloud computing last year. Hosting your own IT network is expensive, time consuming and uses up a lot of physical space. Most accountants don’t double as tech wizards, so they often fall prey to any of the myriad threats that lurk in the cyber world – especially hackers. If you can barely keep up with your IT ecosystem and your actual work at the same time, you’re far from the only one. Fortunately, all your IT worries will be alleviated once you have an entire team of engineers monitoring your network 24/7. That’s not a pipedream, that’s what actually happens when you choose to work with a cloud services provider. Not only would your systems be monitored for any attacks, but your software and hardware will be upgraded to make sure they stay secure against the threats of the day. Hackers evolve quickly, and a major reason why security patches and upgrades exist in the first place is because cybercriminals were able to break through the old patch. If you’re running your business with an out-of-date firewall or operating system, you’re in great risk. People use their smartphones and other mobile devices for everything nowadays, and that includes business. Modern CPAs have to be able to work on the go, and the accounting firms that aren’t keeping up these days are almost always ones that are anchored to their office desks. Working with a cloud services provider means that you have access to company data and applications from any device, anytime, anywhere. So if your office loses power or your computer is inoperable for any reason, you can continue working from another device outside of your office without missing a beat – and more importantly, without missing the money you’d lose from being out of operation. CPAs that work with cloud service providers enjoy a leading edge IT network that is constantly monitored by professionals and enjoy the freedom of working on the go. If any of that sounds appealing to you, check out the TOSS C3 website to learn more about our services and find out if the cloud is right for you.